Bluebells ring in the day with their final performance. The sun is rising with a gusto usually reserved for July, and I’m just about to take the last good swig of coffee before heading out to seize the day and the to-do list. But before I do the to-do’s, let me share a few pics from around the farm, a little photo array to celebrate the first day of May! Bluebells shy away from the sun under the boughs of a mossy old friend. 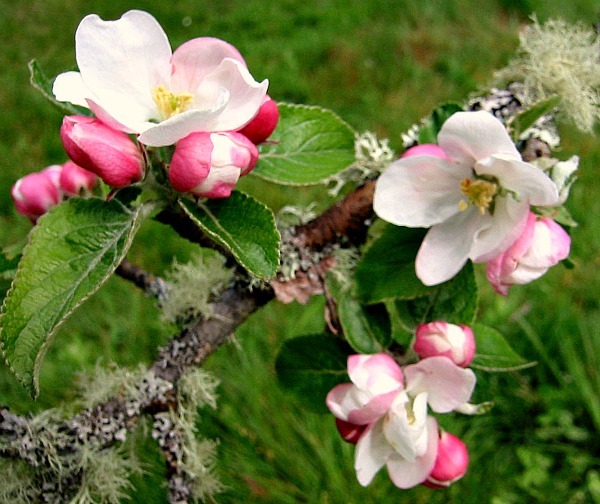 Apple blossoms make it official; spring is here! Just like my front field fence, the days are getting longer. 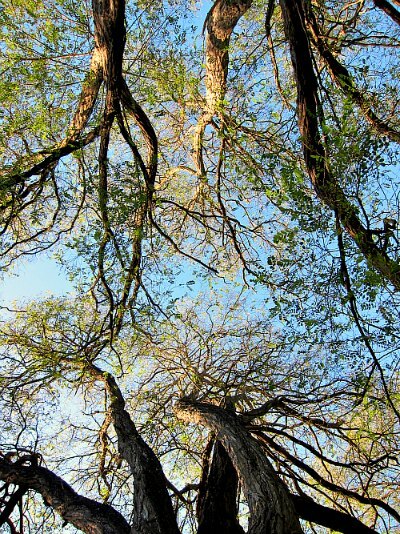 The view from the hammock is beautiful. And Boz and Gracie would argue that the view of the hammock is equally as beautiful. 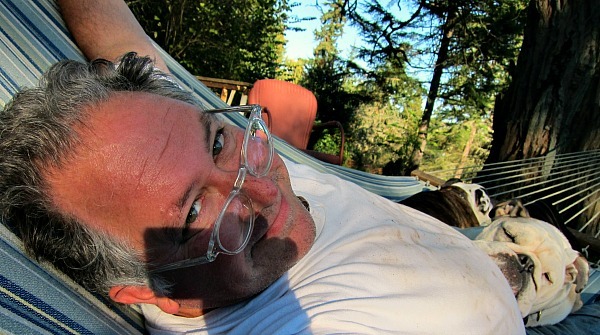 Hammock testing features prominently on my to-do list (and perhaps a lesson in taking better selfies). 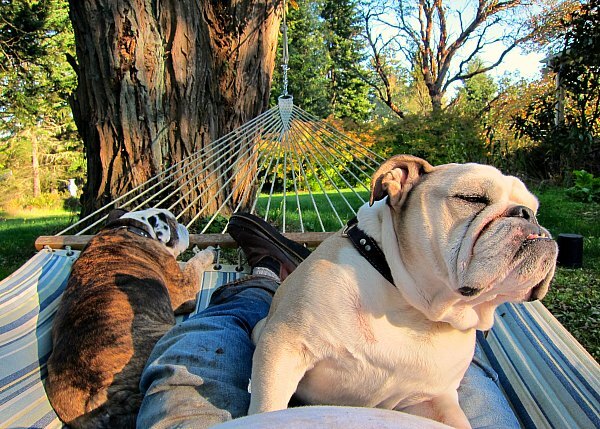 Eager to reach my ultimate May-Day goal of hammock testing and bulldog bonding, I began to whine (to myself) about the overloaded chore list I had created, thinking next time two items max. As I rounded the house to investigate Boz’s barks (different from his begging kind), I could see a tin of bobbing tulips headed my way. Behind those cheerful spring flowers was a smile equally as bright. My friend Adam was on a mission to share some May-Day joy. Truth be told, Adam could bring me a zip-loc of laundry lint and I’d be delighted. Despite my efforts, I could not talk him into a quick visit. I could see by the back of his truck that he had other deliveries to make, and other islanders to surprise. And with that, I thanked him and thought how could the day get any better? In addition to receiving this big-hearted bouquet, I had already moved a truckload of manure, weeded a raspberry row, and mulched said berry plants. And then, Boz, Gracie, and my back chimed in and said, “Call it a day, and hit the hammock.” And with that I came to realize, lists written in pencil can benefit from the action of an eraser. To the hammock, I went! Good day, friends! Good Day! The sight of the bluebells is heartstopping (in a good way). Happy May Day to you, Tom, from my garden to yours. Thanks Kathy, stay cool, I bet it will be a cooker in central Oregon today. Tom, How ever do you get Boz and Gracie in the hammock with you and not tip over? Seems to me that’s a blog post! Love your field fence. Was that something you’ve done or was it there when you purchased the property? Happy May day my friend and such a beauty it is too. Aren’t we the lucky ones? Thanks June! Hope you’re enjoying an ocean breeze and big dinner! that fence is fabulous as are your bluebells. i planted a bunch of them years ago but they seem to never spread. happy first day of may! 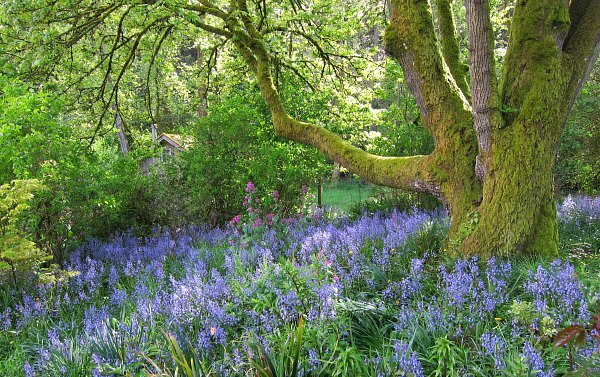 Hi Jaz, my bluebells are happiest and spread more readily in wooded areas with partial shade. I’m not sure which picture I love more. You live in a little piece of heaven! Thanks Colleen, I feel quite blessed and try not to ever take it for granted. Thanks for your kind words and visit! OH a math question to verify my human form. Love it! Tom, happiest may day to you – may you keep sharing your thoughts and pictures FOREVER – they make my day. Now I am going to put hammock testing at the top of my list and go for it! Thanks Merrilee, I need to take a gander at your garden; things are looking amazing down in Burton on your corner! 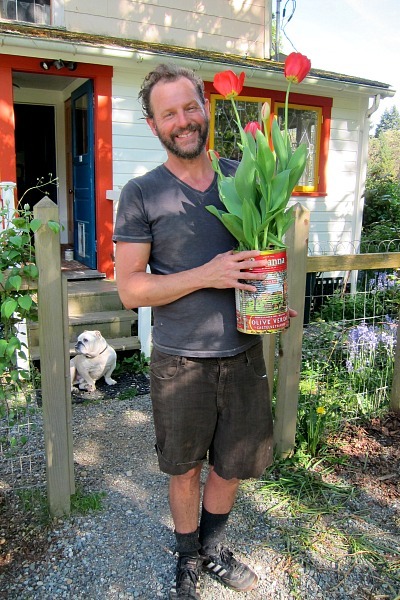 The tulips are GORGEOUS….and I love the idea of writing to-do lists in pencil. Erasers are handy for, um, “adjustments” in the workload! Have a wonderful weekend. Your place in the hammock looks like just the spot to enjoy it! Thanks Sue, I love tulips, but rarely plant them, as deer see them as dessert. I think that will change even if I have to ‘cage’ them, the tulips that is. Oh and I’m glad to report the hammock is in fine working order. Tom, I can’t tell you how much I enjoy your posts. Though Leo & family are in Seattle now ,they are frequently back on Vashon and your posts are a wonderful window into the life there. I enjoy your adventures and love the recipes. Thanks for the wonderful reads ! Sue F.
Hi Sue, thanks so much for the kind words and visits to the blog. As local chapter president of the ‘Leo’ fan club, I want to personally thank you for raising such an amazing son. I may have to begin my lobbying campaign to get the family back to the island, or least for regular visits. Take care, and thanks again! I love the selfies with the pooches and the photo of the sun drenched honey. You are a sun drenched Honey yourself. Happy Spring. Sun-drenched Honey, Um, I’ll take that generous moniker any day, thanks Catherine! Tommy, your words ALWAYS sing! I love to read your posts and I can’t wait to see you! Thanks Kristin, and looking forward to seeing you too! Hi Hafiz, you’re right, it is about time I share some pics of the writer’s cabin. I’ve been dragging my feet on making it a little cozier and more inviting at least while inside the building. That is on my list, for now I think an online tour of the place is in order, and I will be open to suggestions for putting some shine back on this apple. Check this out. 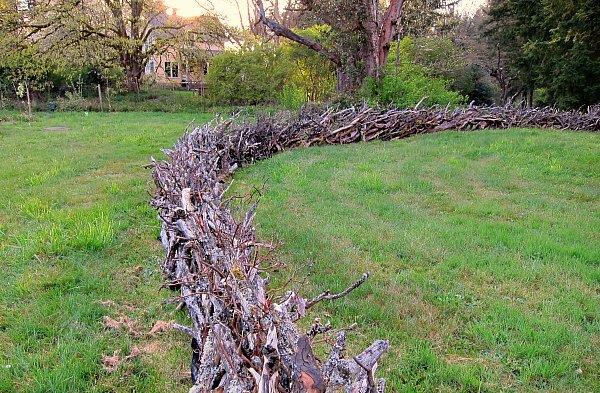 Reminds me of your front fence. This was quite the experience to stand under these and inside these quarters in Brooklyn. Really lovely. Wow Hafiz, I may have to ‘branch out’ and come up with some new designs. Thanks for sharing this wonderful link. btw, is the season early there. Just curious as I saw your honey harvest. Nectar flow must have started already? Hi Hafiz, good question, and I wish that was the reason for the early honey harvest. Unfortunately, my bees did not make it through the winter, but they did leave stores of honey I later discovered; thus the unseasonably early honey harvest. I have new bees now and they seem right at home cleaning up the frames of any leftover honey. 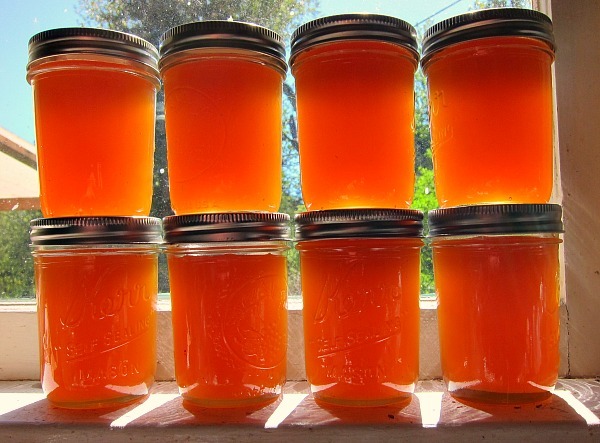 And by the way, the honey is really, really good, likely due to an island of blackberry blossoms in July and August. Gina, it would grow if it was a peach leaf curl resistant variety like Frost or Avalon Pride. You want to give it plenty of sun. Growing a good peach here is a real challenge, then when you do get peaches the squirrels and crows beat you to them. European plums may be a better choice like Green Gage or Italian Prune or Imperial Epineuse. I have about eight peach trees and rarely get peaches.